Those may be kids playing Han and Lando, but almost everything else is movie accurate. Denny’s just released a TV spot for its tie-in with Solo: A Star Wars Story, and in a way, it’s a preview of the movie itself. No, there’s not any actual footage from the film. But the spot reveals several things fans will be excited to see once the movie hits theaters next month. Check it out. 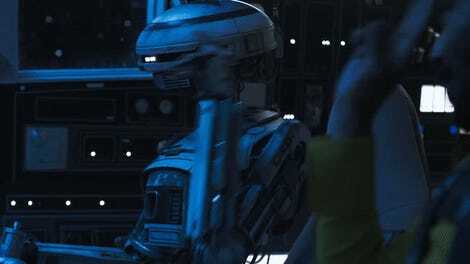 It’s no spoiler to reveal that in Solo: A Star Wars Story, Han is going to win the Millennium Falcon from Lando in a game of Sabacc. Well, this spot is called “Hand of Sabacc”—and at a Denny’s event in Los Angeles, Chief Marketing Office John Dillon revealed that Solo production designer Neil Lamont and creature supervisor Neal Scanlan helped make it. 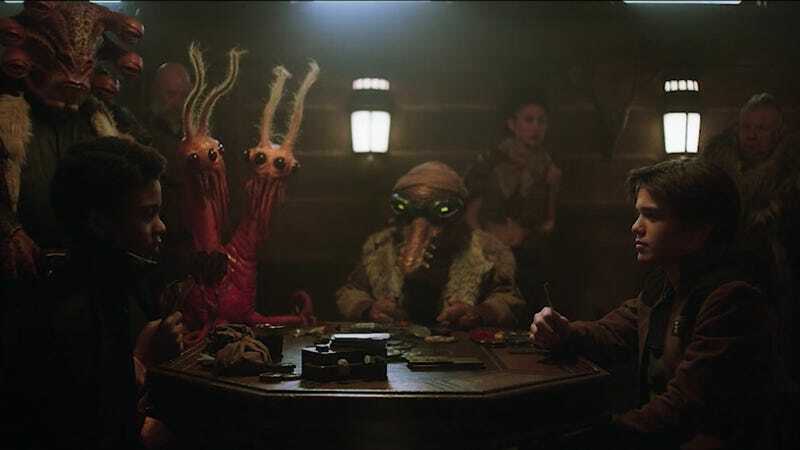 Lamont and Scanlan are two of the people largely responsible for the look of the movie, and together they recreated the exact set (which Dillon called a “lodge”) and table where Han and Lando will play this fateful hand of cards in the movie. The aliens you see in the commercial are largely from the movie as well. So, basically, put Donald Glover and Alden Ehrenreich in this and it’s kind of its own mini-preview of one of the most legendary moments in Star Wars history. Solo: A Star Wars Story opens May 25. Denny’s new Solo-themed menu and tie-ins will be in stores April 3 through June 26.